S1- Hispanic, Male, Adult 18 – 25 yrs. 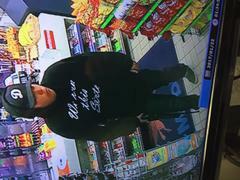 On January 22, 2017 at approximately 1:30 a.m. Camarillo Police Department responded to the Mobil Gas Station located on Pleasant Valley Road by the US 101 freeway for an armed robbery that had just occurred. During the investigation, unknown Hispanic male subject entered the Mobil Gas Station located at 4735 Pleasant Valley Road in the City of Camarillo. 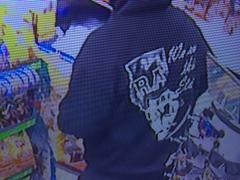 The suspect, armed with a rifle, committed an armed robbery. 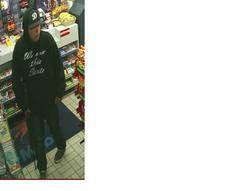 The suspect took an undisclosed amount of money from the cash register and fled the scene on foot. No persons were injured as a result of the robbery. The suspect is still outstanding. 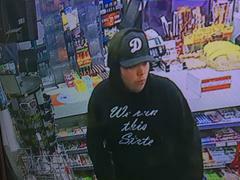 The Ventura County Sheriff’s Office is requesting anyone who has information on the suspect or crime please contact Detective Sergeant William Therrien at (805) 947-8119 or call crime stoppers at 800-222-TIPS (8477).